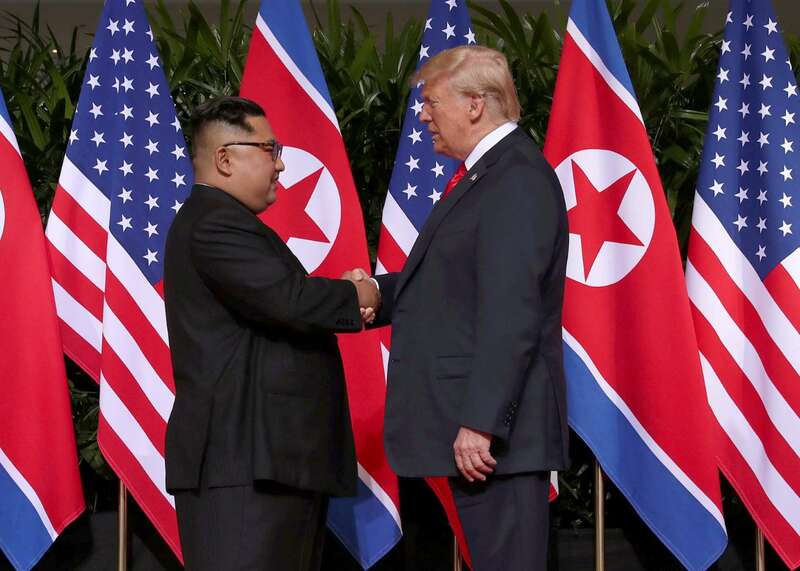 U.S. President Donald Trump shakes hands with North Korean leader Kim Jong Un at the Capella Hotel on Sentosa island in Singapore. 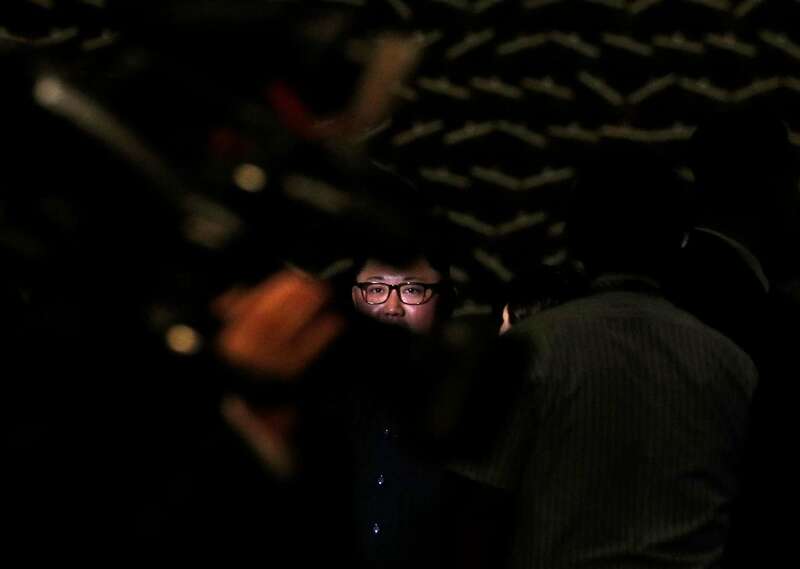 President Donald Trump speaks during a news conference after his meeting with North Korean leader Kim Jong Un at the Capella Hotel on Sentosa island in Singapore. 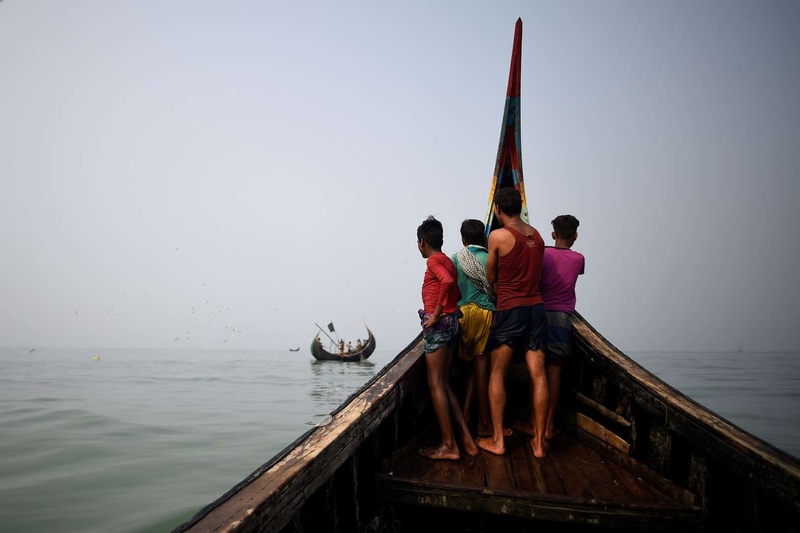 Rohingya refugees crew a fishing boat in the Bay of Bengal near Cox's Bazaar, Bangladesh. 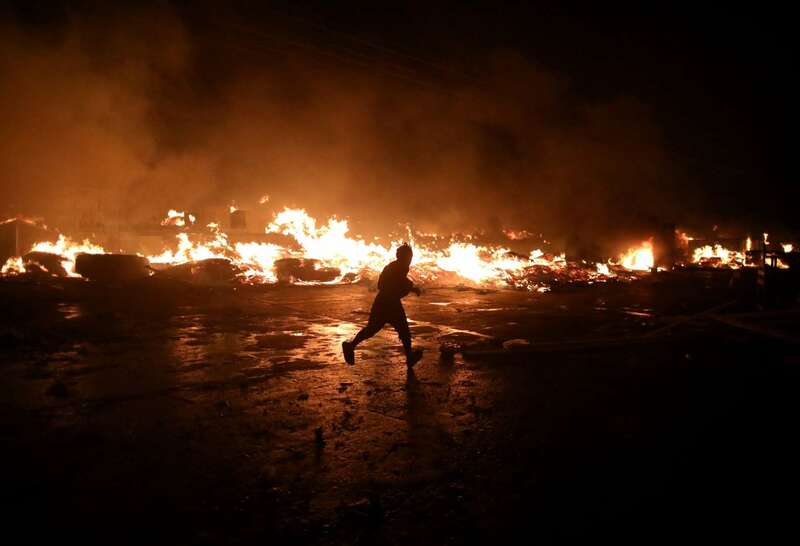 A man runs next to fire at a market in Port-au-Prince, Haiti. 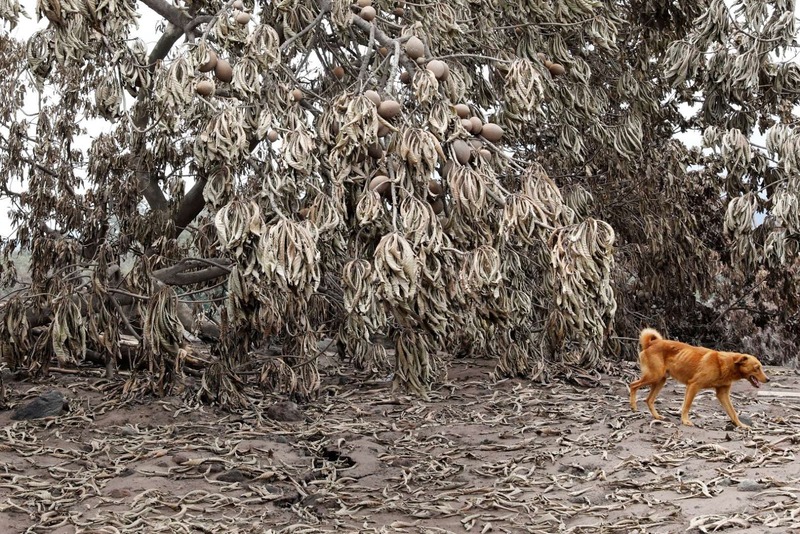 A dog walks past trees covered with ash after the eruption of the Fuego volcano in San Miguel Los Lotes in Escuintla, Guatemala. 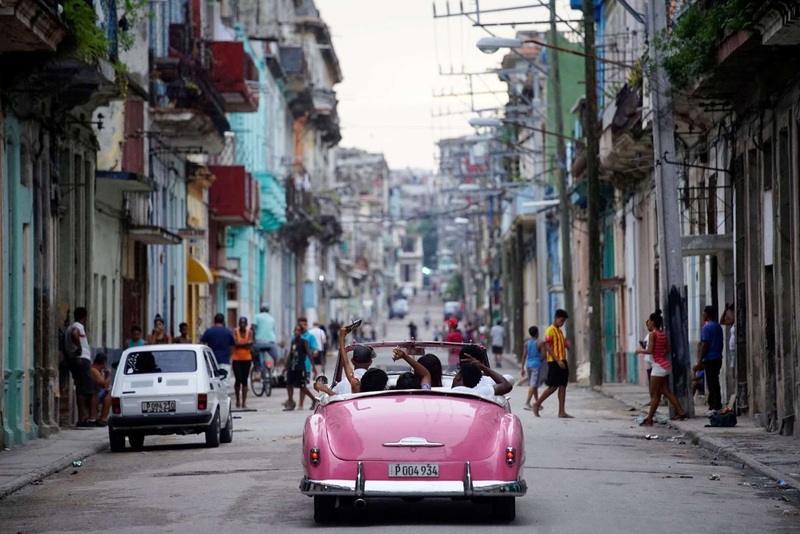 Tourists ride a vintage car in Havana, Cuba. 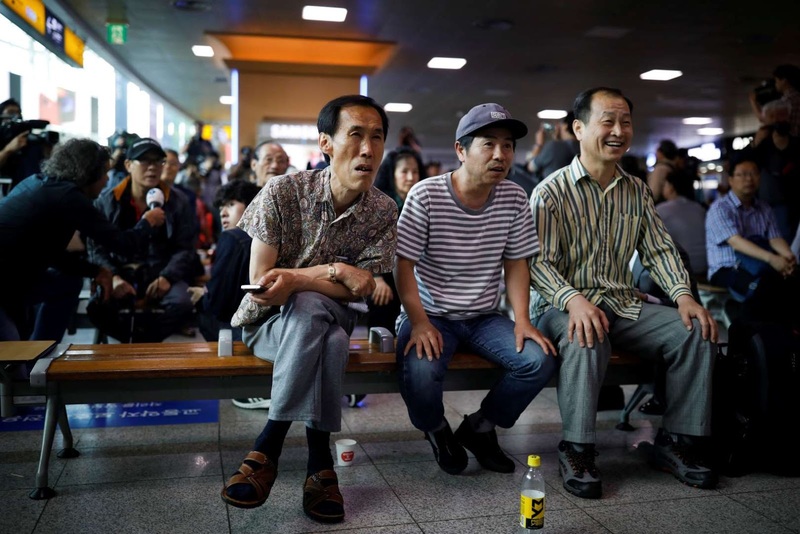 People watch a TV broadcasting a news report on summit between the U.S. and North Korea, in Seoul, South Korea. 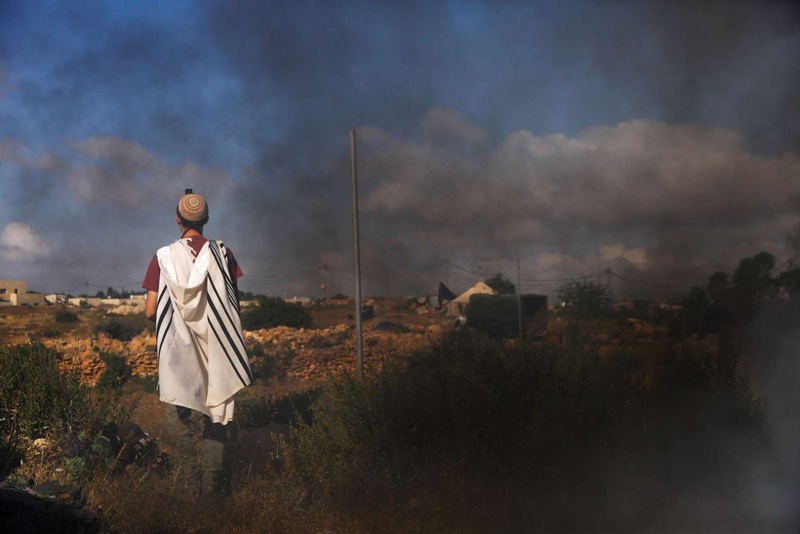 A protestor prays before Israeli security forces come to evacuate 15 Jewish settler families from the illegal outpost of Netiv Ha'avot in the Israeli occupied West Bank. 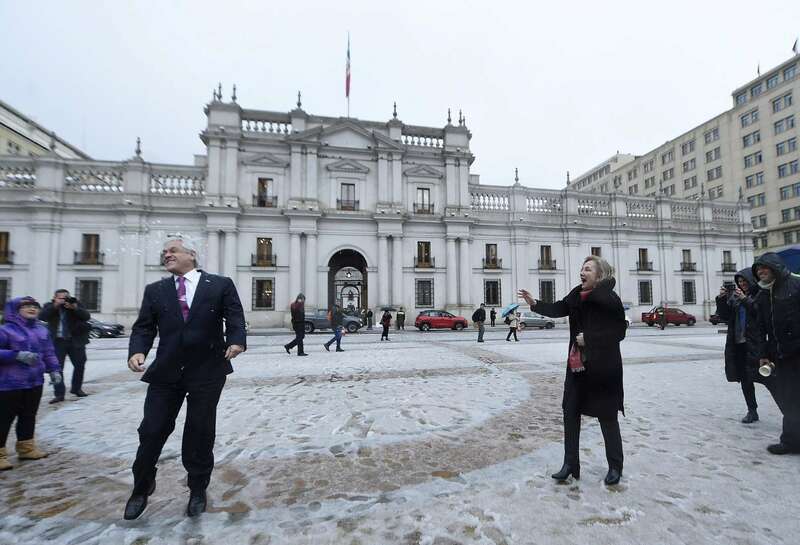 Chile's President Sebastian Pinera is hit by a snowball tossed at him by his wife, first lady Cecilia Morel outside of the government palace after an unusual snowfall in Santiago, Chile. 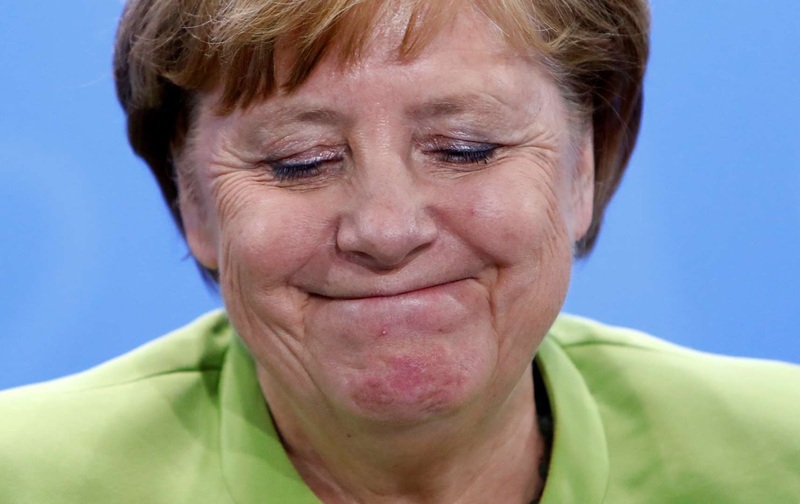 German Chancellor Angela Merkel attends a news conference with representatives of the trade organizations after a meeting in the chancellery in Berlin. 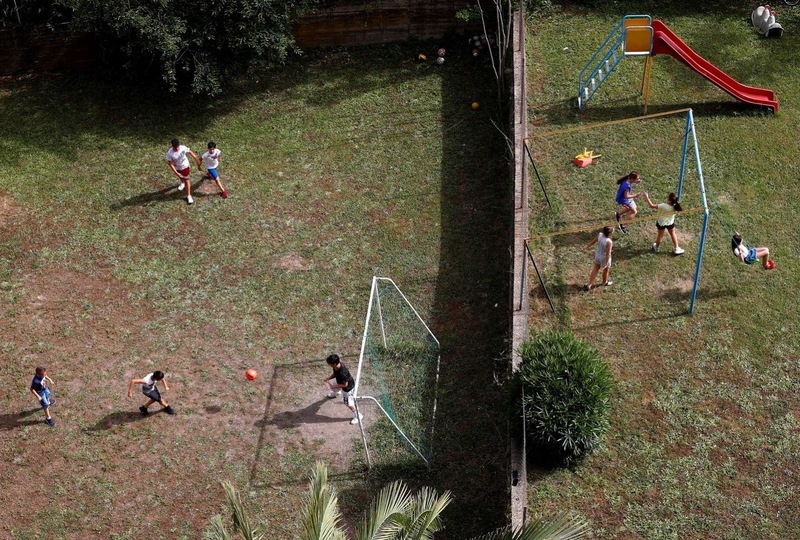 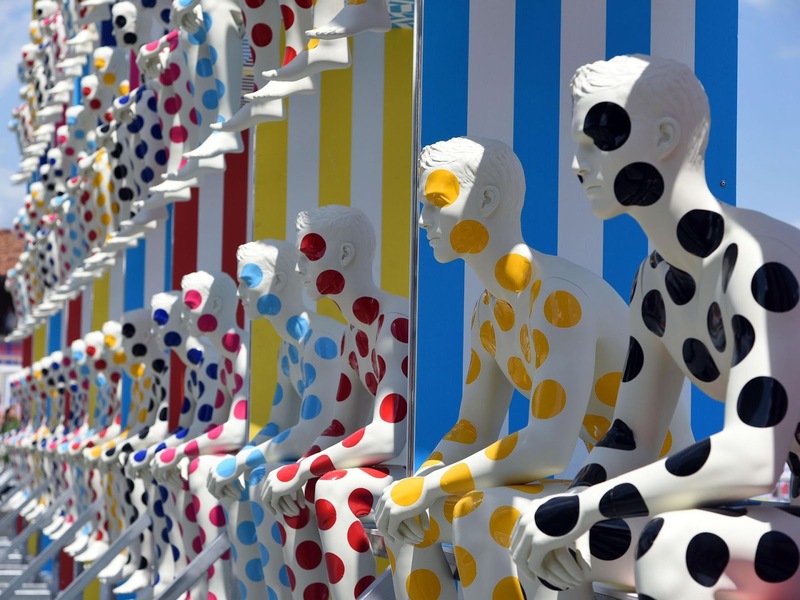 Boys play soccer as girls play on the swings in Rome, Italy. 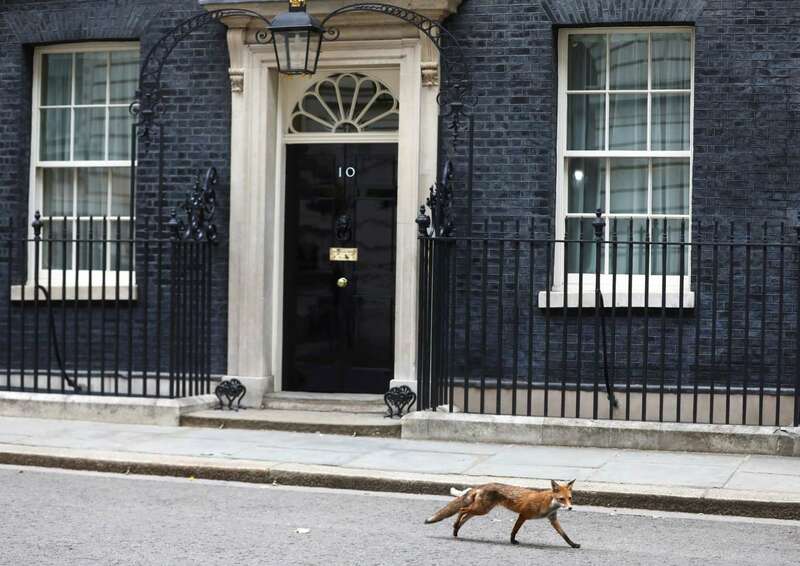 A fox walks past 10 Downing Street in London, Britain. 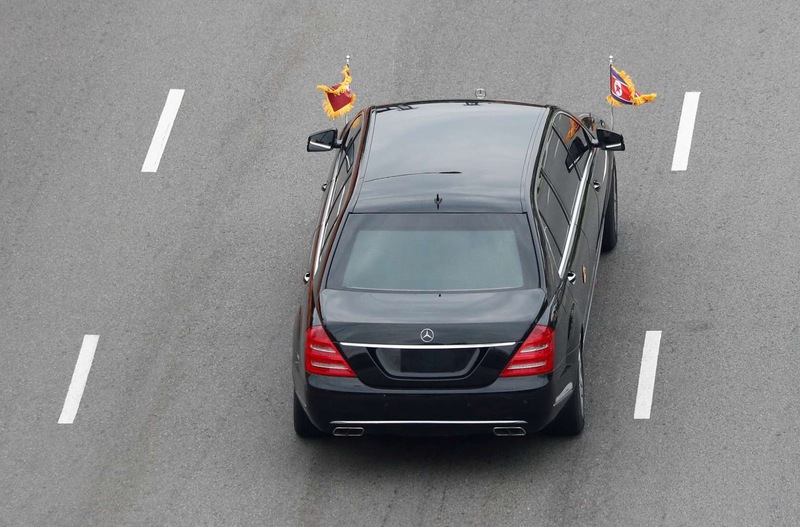 The motorcade of North Korean leader Kim Jong Un travels towards Sentosa for his meeting with U.S. President Donald Trump, in Singapore. 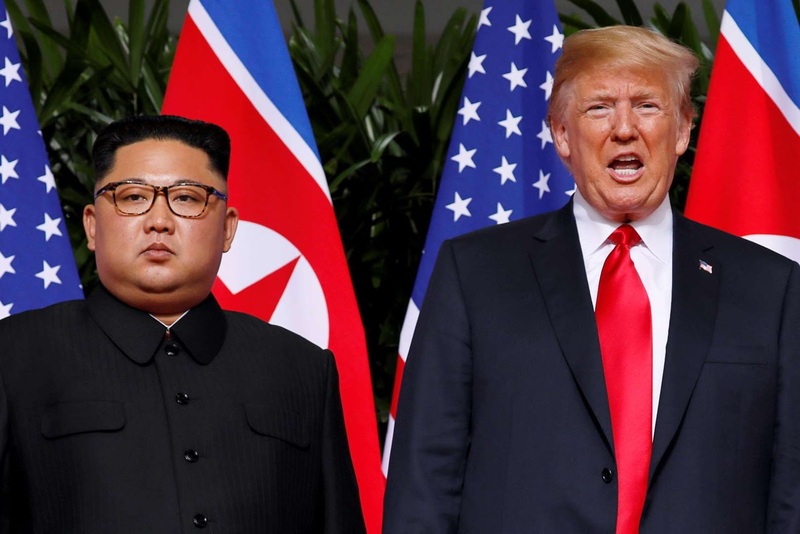 President Donald Trump and North Korean leader Kim Jong Un react at the Capella Hotel on Sentosa island in Singapore. 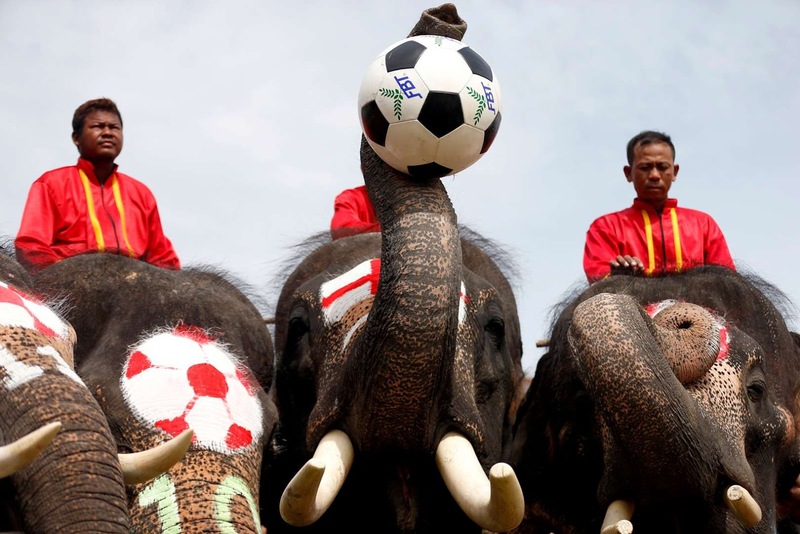 Elephants play soccer during an anti-gambling campaign for school children in Ayutthaya, Thailand. 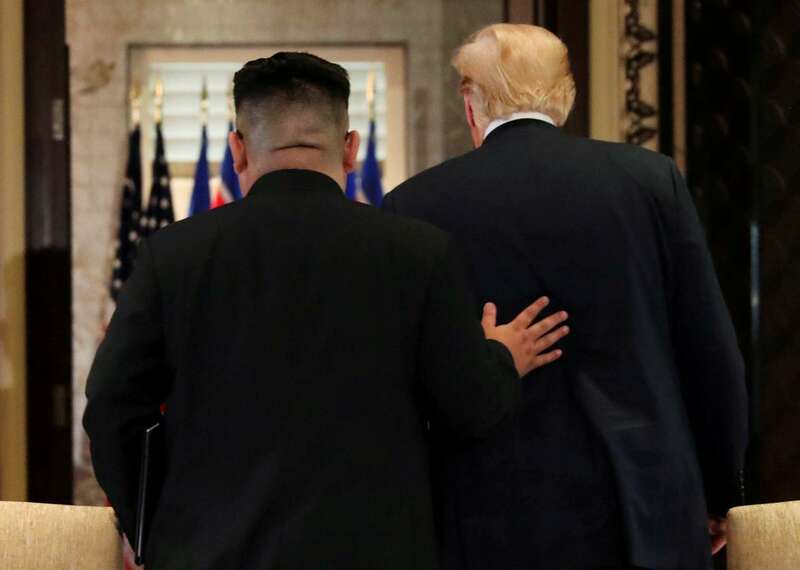 President Donald Trump and North Korea's leader Kim Jong Un leave after signing documents that acknowledge the progress of the talks and pledge to keep momentum going, after their summit at the Capella Hotel on Sentosa island in Singapore. 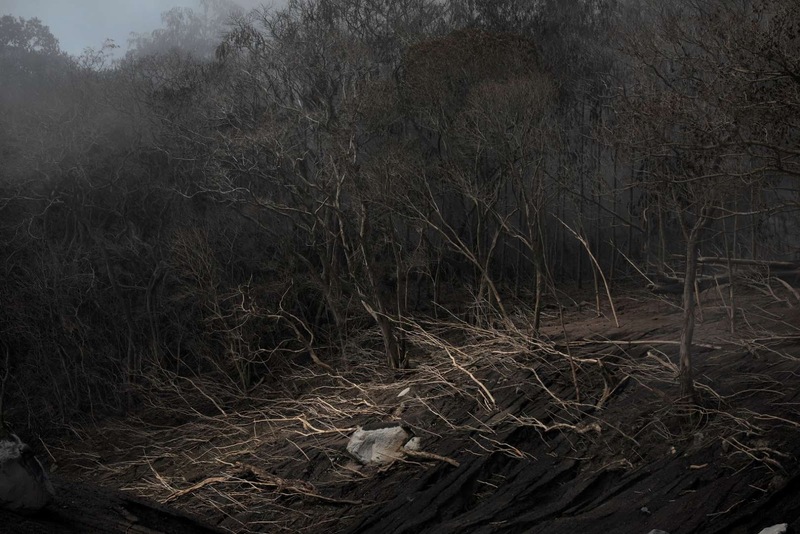 Trees are seen at an area affected by the eruption of the Fuego volcano at San Miguel Los Lotes in Escuintla, Guatemala. 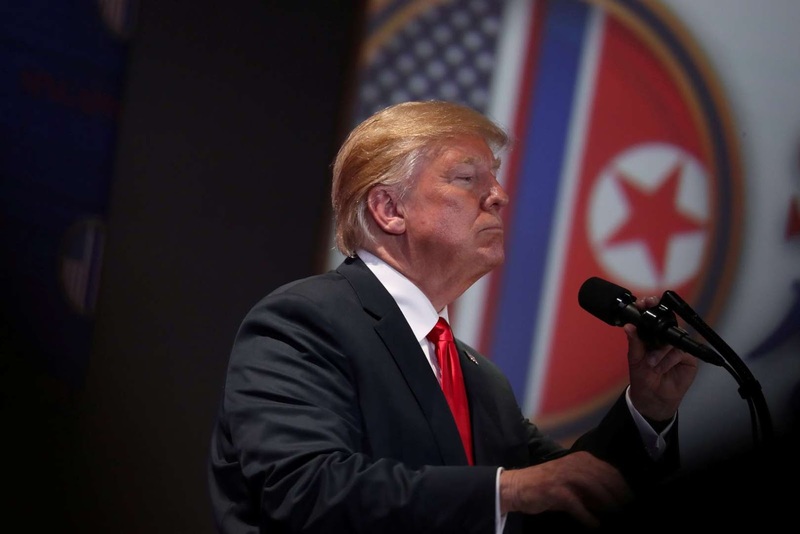 Rohingya refugees push a fishing boat from the sea at Shamlapur beach in Cox's Bazar, Bangladesh. 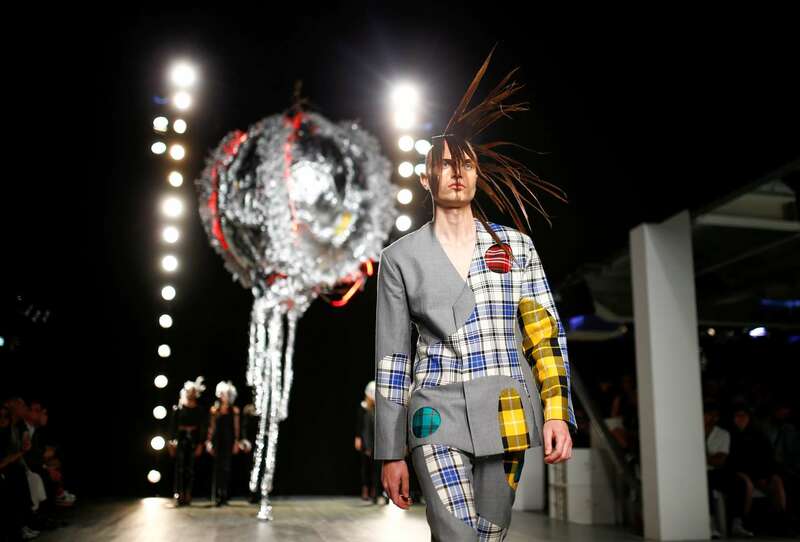 A model presents a creation at the Charles Jeffrey Loverboy catwalk show at London Fashion Week Men's, in London. 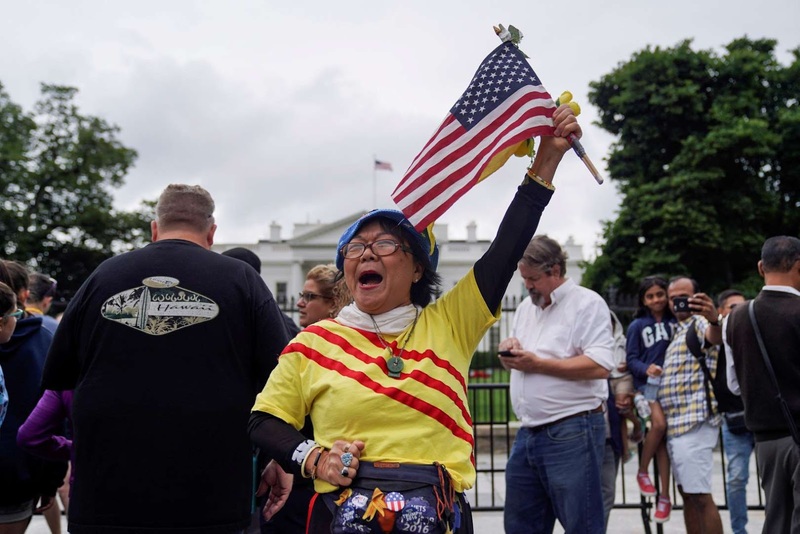 Victoria Kim, a Vietnamese Trump supporter from California, raises an American flag during a vigil outside the White House to celebrate the joint summit between U.S. President Donald Trump and North Korean leader Kim Jong Un held in Singapore, in Washington. 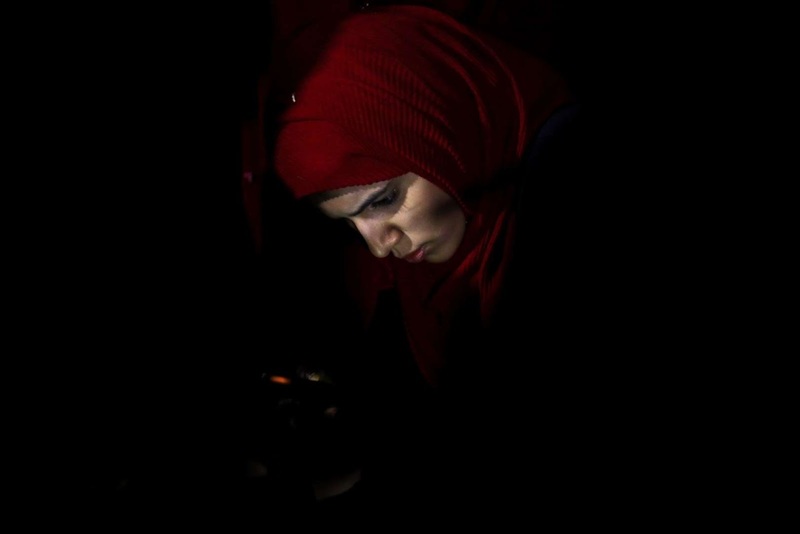 A Muslim woman reads the Koran in front of the Dome of the Rock, on the compound known to Muslims as Noble Sanctuary and to Jews as Temple Mount, during Laylat al-Qadr in Jerusalem's Old City. 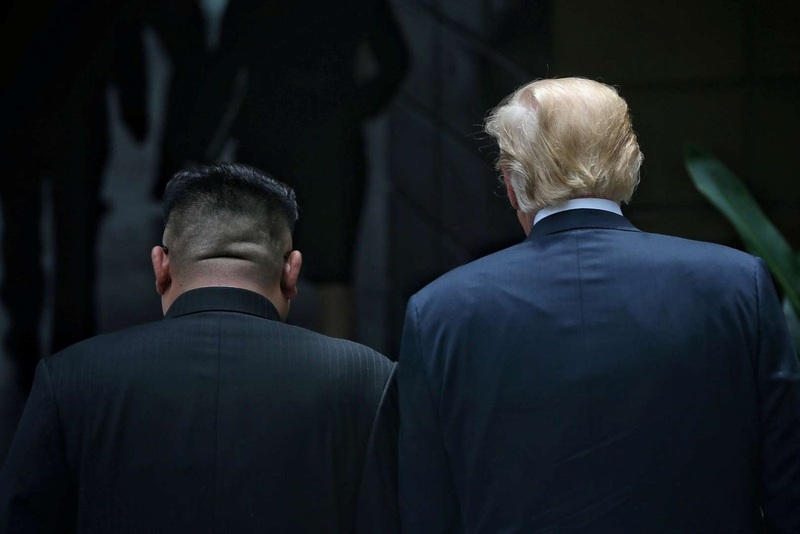 President Donald Trump and North Korea's leader Kim Jong Un leave after signing documents at the Capella Hotel on Sentosa island in Singapore.